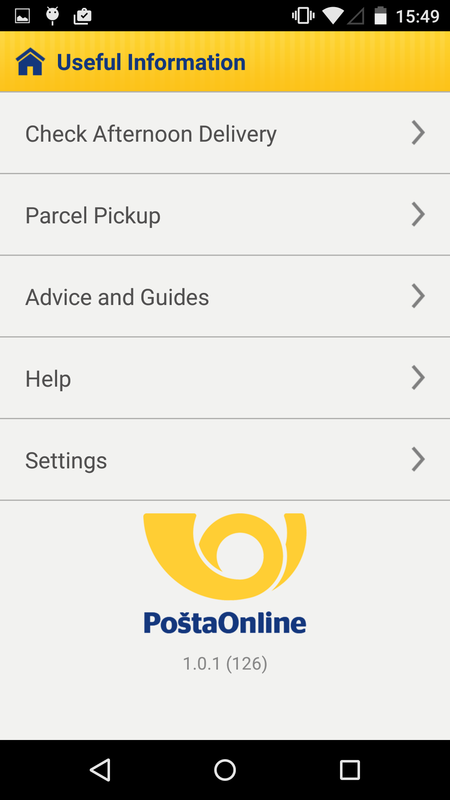 The “Czech Post” application offers a fast and comfortable access to services provided by the Czech post. 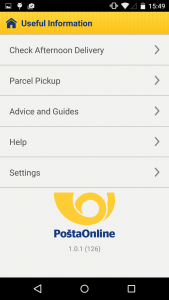 The “Czech Post” application offers smartphone users a fast and comfortable access to these services: Track&Trace, Find Post Office, Find Postcode. The function Track & Trace allows you to track one or more particular consignments according to the posting number using features such as automatic push notifications or an integrated bar code reader. Naming or archiving consignments allows you to find them more easily. 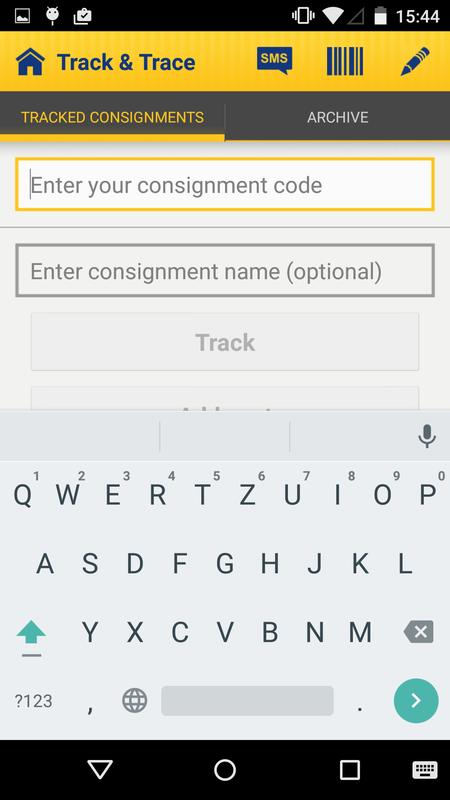 Application supports push notifications pointing out on the important changes of the Track & Trace status of the consignments. 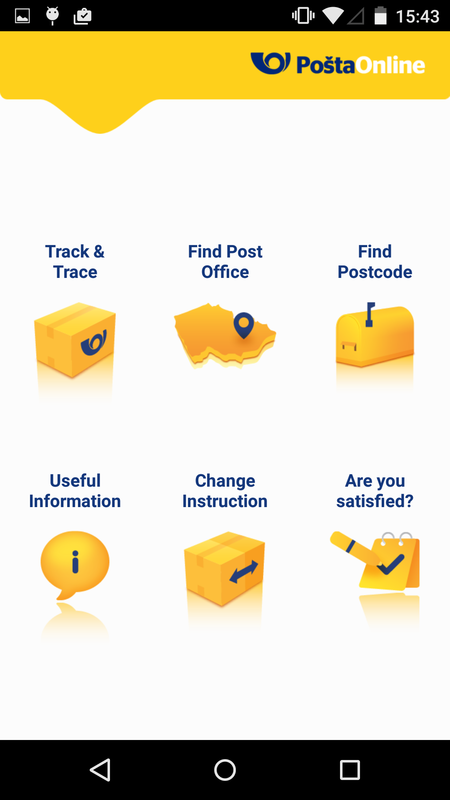 Do you want to know the location of the nearest post office, what services are available there and what are the opening hours?The nearest post offices with the distance in km will be displayed automatically on the screen according to your GPS location. If the distance is not relevant to you, you can filter the results by e.g. specific services or opening hours to find the best result. 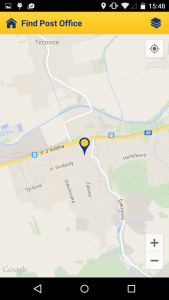 Click once to have it displayed on the map or to be navigated to your final destination. 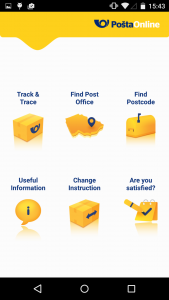 A new feature of the application, is the opportunity to save a post office to Favourites. A postcode can be found by entering the name of the municipality or its quarter, street or house number. The result displayed will include detailed information about the post office such as available services or opening hours. Change of the consignment details. You can tailor the delivery of the consignment to your needs. In case of particular types of consignments, you can choose e.g. afternoon delivery, shift the delivery time by 1 day or ensure the deposit of the consignment at different post office. It is possible to use this service only in case of Delivery to hand a Delivery to post office is in given time intervals. By using the service Are you satisfied? 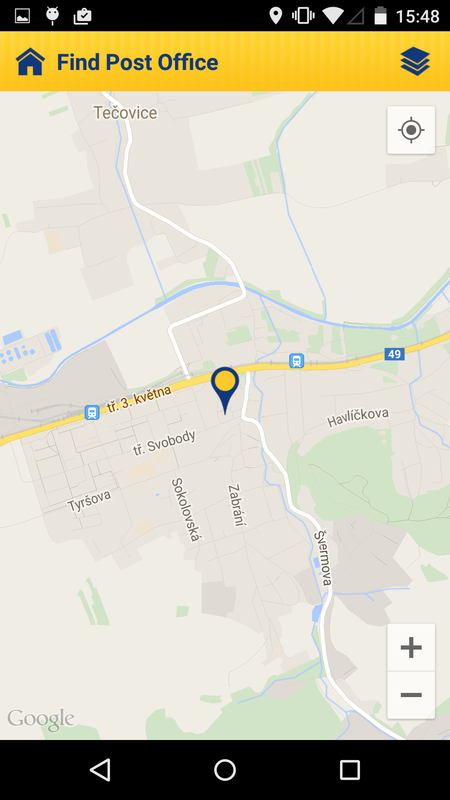 you can express your satisfaction with the Czech post services. 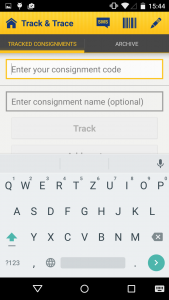 Rating is related to a particular consignment; that is why you have to enter the consignment number. Rating can be done either by receiver or sender. Czech post make an effort to meet your needs, therefore, in selected locations the delivery time is extended to 7 p.m. and up to 8 p.m. in Prague. With the help of this application, you can check whether your address is among those with the afternoon delivery service. 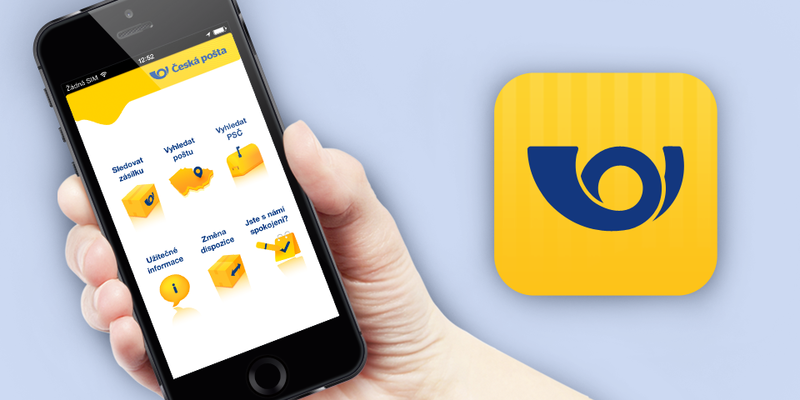 The “Czech Post” application offers fast and comfortable access to services provided by Czech post.